Netflix Never Used its $1m Algorithm. Here's Why. Remember Netflix’s $1m algorithm contest? Well, here’s why it didn’t use the winning entry. Netflix was founded in the US in 1997, starting initially as a DVD-rental delivery service before finally morphing into more of a VoD streaming service. Today, it serves the US and Canada, Latin America, the Caribbean, and, as of January this year, the UK and Ireland, where it finally arrived to exchange blows with LoveFilm. 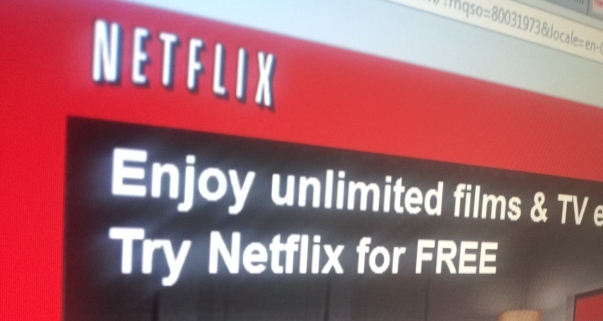 Cast your mind back to when the company launched the Netflix Prize. Announced in 2006, the prize sought to reward clever people for developing a recommendation algorithm. The company offered $1 million to whoever could improve the accuracy of its existing system, Cinematch, by 10%. On September 21, 2009 the mammoth prize was given to team BellKor’s Pragmatic Chaos, who produced an algorithm which apparently improved the search by 10.06%. Whatever happened to that $1m algorithm? As pointed out by TechDirt’s Mike Masnick, last week Netflix launched a two-part blog post on its recommendations system, one of which was interesting if only for what it revealed about the outcome of this supposed winning formula which it coughed up big bucks for. Indeed, by the time the algorithm was good to go, Netflix as a business had moved on. Whilst they acknowledge that the work that went into the final product was immense, Xavier Amatriain and Justin Basilico, Personalization Science and Engineering at Netflix, say that the engineering effort required to achieve the accuracy gains they measured, wasn’t entirely justified. “I also find it interesting that there’s a clear distinction in the kinds of recommendations people that work if people are going to ‘watch now’ vs. ‘watch in the future’. I think this is an issue that Netflix probably has faced on the DVD side for years: when people rent a movie that won’t arrive for a few days, they’re making a bet on what they want at some future point. And, people tend to have a more… optimistic viewpoint of their future selves. That is, they may be willing to rent, say, an “artsy” movie that won’t show up for a few days, feeling that they’ll be in the mood to watch it a few days (weeks?) in the future, knowing they’re not in the mood immediately. Netflix also says that another big change to come about was the move from a single platform onto hundreds of devices, for example when it integrated with Roku and Xbox in 2008, which was already a couple of years into the competition. Then Netflix streaming made it to the iPhone, before hitting Android and range of other connected devices. In short, a one-algorithm approach clearly won’t work across such a wide range of platforms. It’s also worth noting the global availability of Netflix. It’s now extended beyond the US and in to Canada, 43 Latin-American countries plus the UK and Ireland. It has 23 million subscribers in 47 countries, who streamed 2 billion hours from multiple devices in Q4 2011 alone. Every day 2 million movies and TV shows are queued, and 4 million ratings are generated. So how does personalization cope with such a massive multifaceted jump in usage? Well, $1m may sound like a lot of money for Netflix to pay for something that wasn’t really used, but we’re sure Bob Bell, Martin Chabbert, Michael Jahrer, Yehuda Koren, Martin Piotte, Andreas Töscher and Chris Volinsky from BellKor’s Pragmatic Chaos don’t mind too much.